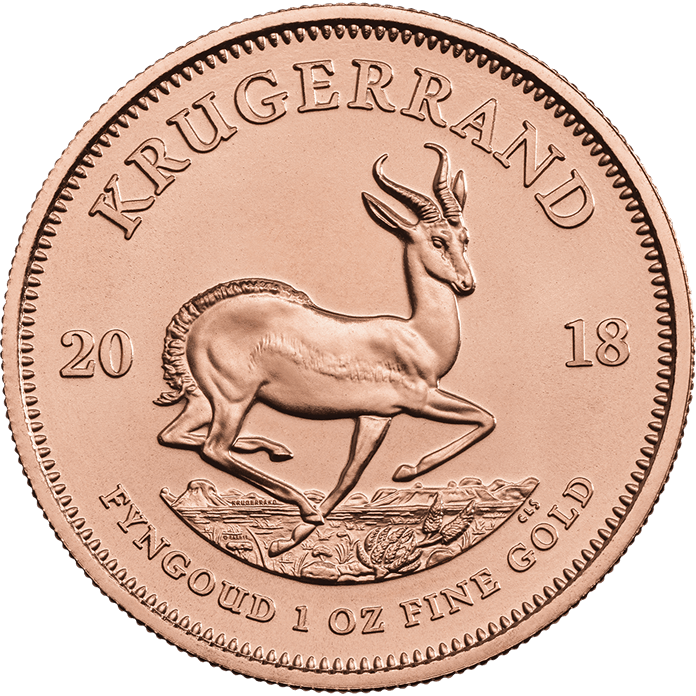 The gold Krugerrand coin has been minted since 1967 by The Rand Refinery in South Africa. 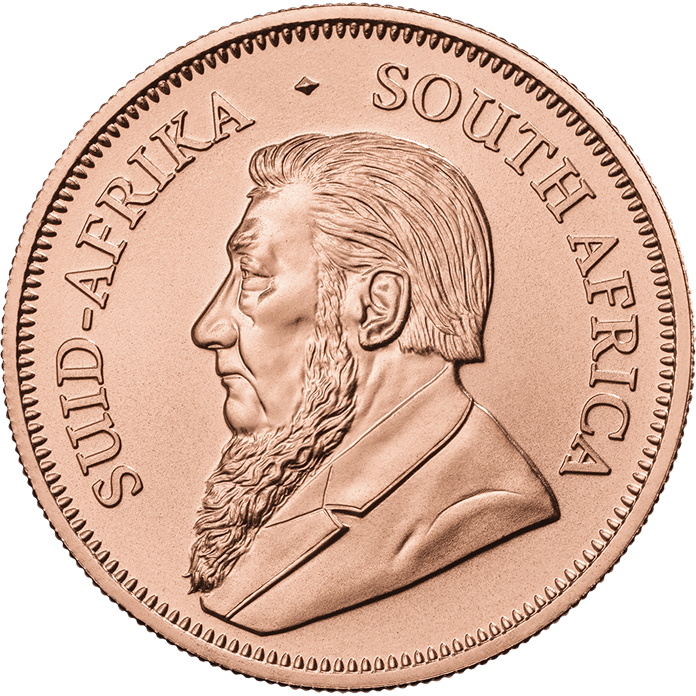 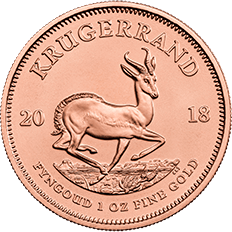 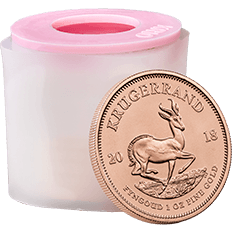 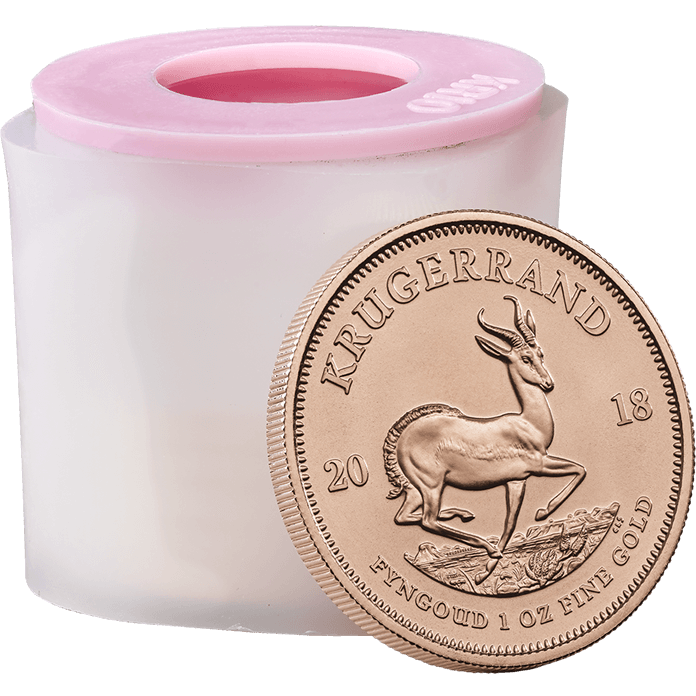 The Krugerrand is one of the most popular and numerous one-ounce bullion gold coins in the world. 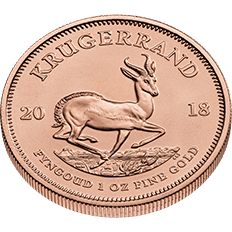 The name itself is a compound of Kruger (the former South-African president depicted on the obverse) and rand, the South African unit of currency. 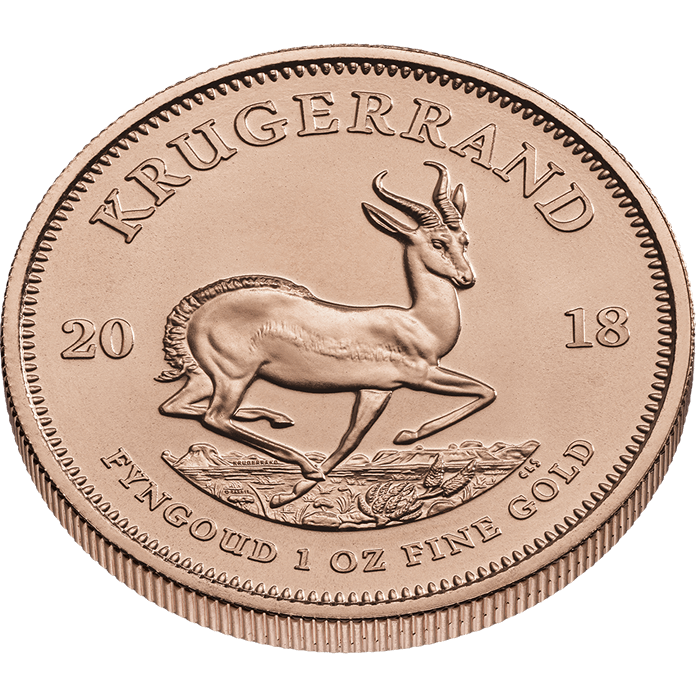 Much like The Sovereign, Krugerrand coins are 916.7 fineness and are 22 carat gold.